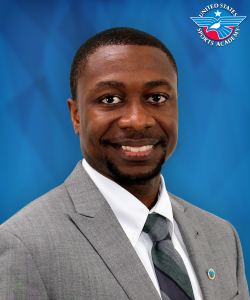 DAPHNE, Ala. – United States Sports Academy director of sports management Dr. Brandon Spradley was recently interviewed about the growth of eSports in collegiate athletics for an article that appeared in an online publication with a global reach. The article, “Are Video Games the Next Big College Sport?,” was published by Learning English, Voice of America’s multimedia source of news and information for English learners worldwide. Voice of America is a multimedia news agency funded by the United States government. It is the official external broadcasting institution of the United States, providing programming for radio, television and the Internet outside of the country in various languages. Under the Voice of America format, articles are both printed and voiced so that English learners can read along with the story. Spradley has conducted scholarly research on the growth of eSports and recently co-authored a piece on the subject for The Sport Journal, the Academy’s peer-reviewed online journal of sports. The piece can be read here: http://thesportjournal.org/article/recognizing-esports-as-a-sport/. The Academy interviewed Spradley on the subject for an article which can be read here: https://ussa.edu/news/academy-faculty-member-predicts-further-global-growth-of-esports/. The Voice of America article, which quotes Spradley, can be read here: https://learningenglish.voanews.com/a/college-level-esports-on-the-rise/3959974.html.